Currently, there are a lack of tools and standards in the crypto space, unlike in traditional markets. Identifiable information is not immediately accessible on the blockchain. But, it is possible to track down the source of the code, from the original wallet the token came from. Following financial institutions, cryptocurrency exchanges have started to embrace anti-money laundering regulations and the KYC rule. Accordingly to KYC procedure, including verification, performed by KYCBench, before opening a digital wallet, identification process is set in place, via name and proof of address. However, crucially, several tokens are more anonymous than others. These provide more safety and privacy for some, but are a significant compliance concern. In the last few months, relevant bodies in various countries worldwide have been looking at ways to stop transactions using tokens that prioritise anonymity. Self-regulation may be the right answer. 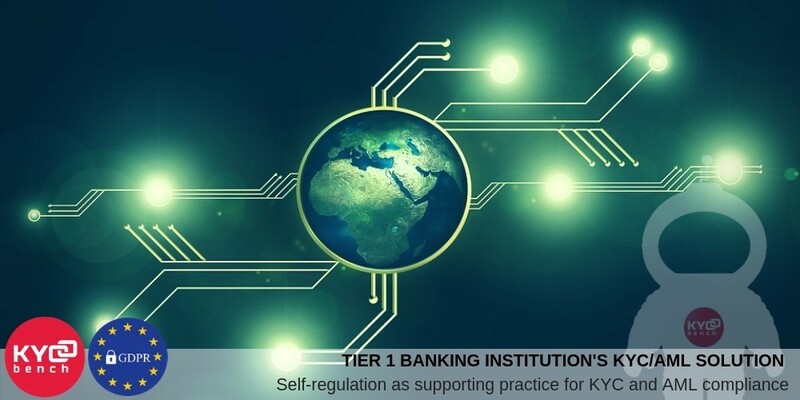 Within the context of cryptocurrencies, self-regulation is the establishment of guidelines and a code of conduct for market participants to operate businesses within the ecosystem. Those guidelines span a broad spectrum, from KYC to maintaining transparency to ensuring security against hacks. In June, Coincheck confirmed removal of Monero (XMR), Zcash (ZEC), Dash and Augur’s Reputation (REP) coin from trading on its exchange to maintain accordance with Japan’s Financial Services Agency’s new policy, which aims at banning tokens that offer significant anonymity. At this point, it is important to understand, that domestic regulation within the country will not be sufficient enough and there is a need for a global cryptocurrency approach. Currently, because of regulation and compliance challenges, some investors may be hesitating, waiting for clarity of crypto regulation and protection. Combining self-regulation with more established practices of trust and accountability could be enough to reinvigorate the cryptocurrency boom.